Information Articles - Cfia Launching Of Equine Information Document Eid - Ownership Identification Inc.
During a recent meeting with our organization (OII) president and HCBC director, Ellen Hockley we discussed the parameters of horse industry participants and associations involvement with this recent initiative regarding horses entering a slaughter establishment in Canada. 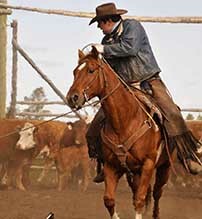 2) Les Burwash - Manager Horse Programs, Alberta Agriculture and Rural Development. Mr. Burwash was a guest presenter at the International Livestock Identification Association conference I recently attended at Spruce Meadows, Alberta. For the latest information about identifying and recording health information for your equine, please visitwww.inspection.gc.ca Click Search, for documents containing Meat Hygiene Directive no. 2009-49, Chapter 17 - Annex E - Equine Information Document (22 pages). These pages include the actual forms that the horse owner(s) / agent, is required to complete and have accompany the horse(s) when being marketed. Be it understood that the first option for visual identification of equine intended for slaughter is picture identification vs. the filled in diagram approach as the pictures provide better detail. Other options include registration papers, previous EID documents, equine passports and or the diagram completed forms signed by an authorized person. 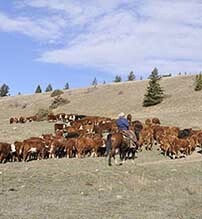 The area requiring a signature of an authorized person states: a veterinarian or provincially employed livestock brand inspector. Be it understood that this required signature of an authorized person is to confirm identification only. The decision to perform this service for an equine owner is voluntary and any potential costs associated with providing this service are not a component of EID policy, but rather, a matter to be decided by the authorized body, the authorized person and the equine owner. Equine owners who wish to keep the option of selling their equine animal for slaughter may benefit from providing a completed EID covering the last six (6) months of ownership at the time of the sale. It is the owner’s responsibility to provide a completed document at the time of sale - if they wish. There is no responsibility for authorized persons or markets to complete EID documents…unless they own equine animals intended for slaughter. Effective January 31, 2010 CFIA announced equine owners intending to sell directly or indirectly to Canadian meat processors are being advised to record certain information. The collection of this information will better prepare the equine industry for July 31, 2010 when it will be mandatory for all federally – inspected equine facilities to have complete records dating back six months for all domestic and imported animals presented for slaughter. These requirements apply to owners of horses and their crosses, referred to as equine. June 10, 2010 - Equine Canada announced the launch of a national telephone survey - the National Equine Industry Traceability Readiness Study. The study is one of two research and data gathering exercises that are being conducted during the development phase of the national equine identification and traceability program. The information gathered during the research exercises will be used to inform the creation and implementation of a national program that best serves the needs of Canadian horse owners and industry participants. Be it understood, that a huge degree of education, information sharing and cooperation will need occur amongst horse owners, agents and industry participants in order for this unique practice to become successful. The objective of the creation of a national traceability system for livestock is to assist governments and industry in limiting the economic effect of animal health, plant health, food safety and other emergencies and to proactively gain access to foreign markets requiring traceability.